Is China changing the rules of the global markets? 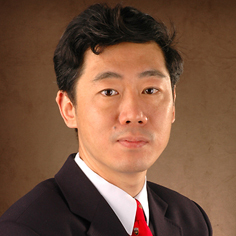 David Daokui Li is one of China’s leading economists and is a top advisor to China’s senior leadership. He is regularly cited in the financial media – Wall Street Journal, Financial Times, Bloomberg, New York Times, South China Morning Post, Bloomberg and more – for his insights into Chinese economic policies and their impact on the global marketplace. He is a delegate to the Beijing People’s Congress and a member of the Chinese People’s Political Consultative Committee (CPPCC), which functions in a capacity similar to that of Britain’s House of Lords. A former member of the Monetary Policy Committee of the People’s Bank of China and Director of the Center for China in the World Economy at Tsinghua University, he holds a PhD from Harvard University and has been chosen by Wall Street Wire as one of the most influential economists in China. David Li is an active writer and speaker on issues regarding the Chinese economy and global politics. He frequently participates in discussions with leading intellectuals and other prominent figures from around the world, such as debating with Henry Kissinger, Fareed Zakaria and Niall Ferguson.